Getting back into the swing of things is always a little tricky for me. Of course, I want to dive head first in and take on whatever it may be that I want to change but that process has been happening a lot slower than I would like lately. I want to do something, and then I don’t. Yesterday someone told me that, “Whatever’s going to come my way, will come my way.” There’s no use in worrying, because really all that “worry” is is stressing yourself out about something that hasn’t happened yet — or that already happened. It’s important to plan and reflect, but there’s a fine line between that and always thinking about the past and the future and neglecting the present. So today, I’m going to try to get back into the swing of things. Embrace the present moment more. Recreate a routine I once had that made me happiest and not worry so much about what’s next (or try at least). And it may sound silly, but a lot of that starts with how I treat my body and what I feed it. I need a consistency and wholeness that I’ve been lacking for these past few hectic weeks. 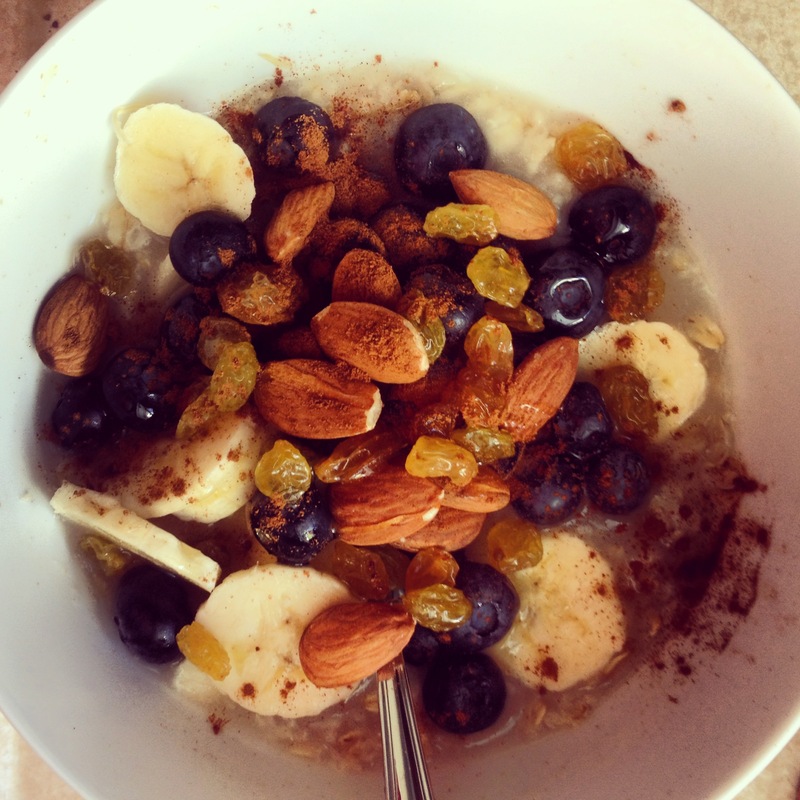 And nothing says here’s to a fresh start of a new week than a warm bowl of oatmeal topped with sliced bananas, blueberries, almonds and cinnamon. Enjoy your week! thanks Chloe! 🙂 it was!